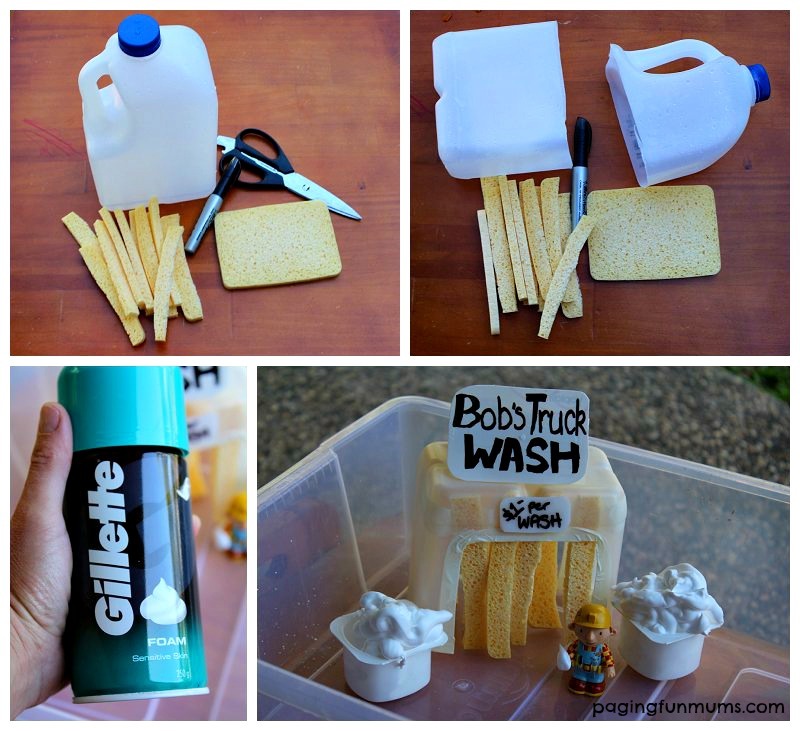 Here’s an easy way to make a FUN Toy Car Wash using a recycled Milk Jug and some sponges! To make the Car Wash itself simply cut the base off your Milk Jug and tape around the edges so they aren’t sharp. Cut strips of Sponge and tape these to each inside edge of the container to form a tunnel with hanging sponge. 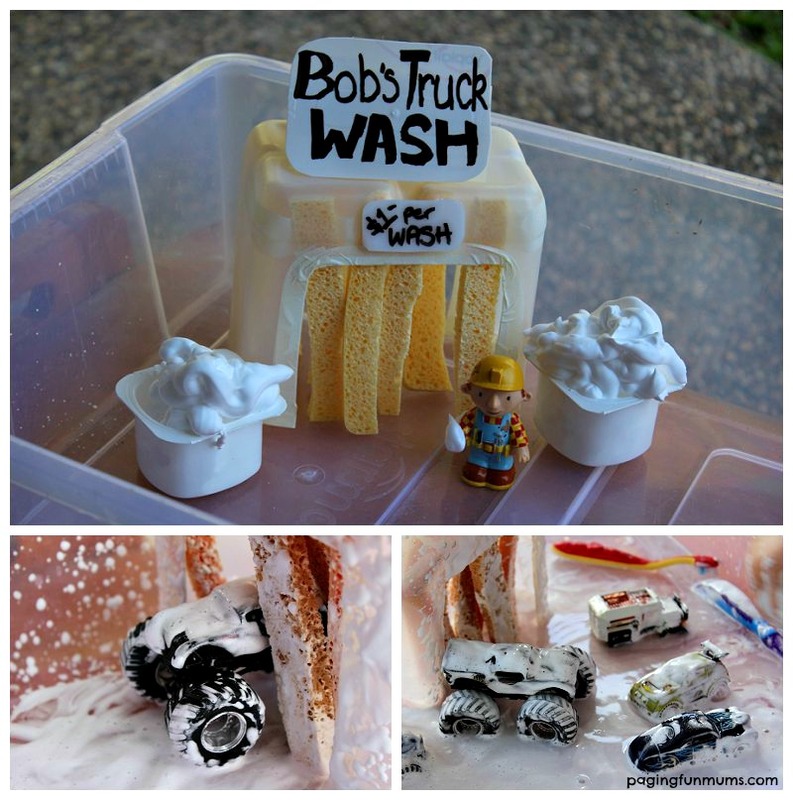 You can make a personalised sign for your Toy Car Wash using some cut plastic from leftover half of the Milk Jug. 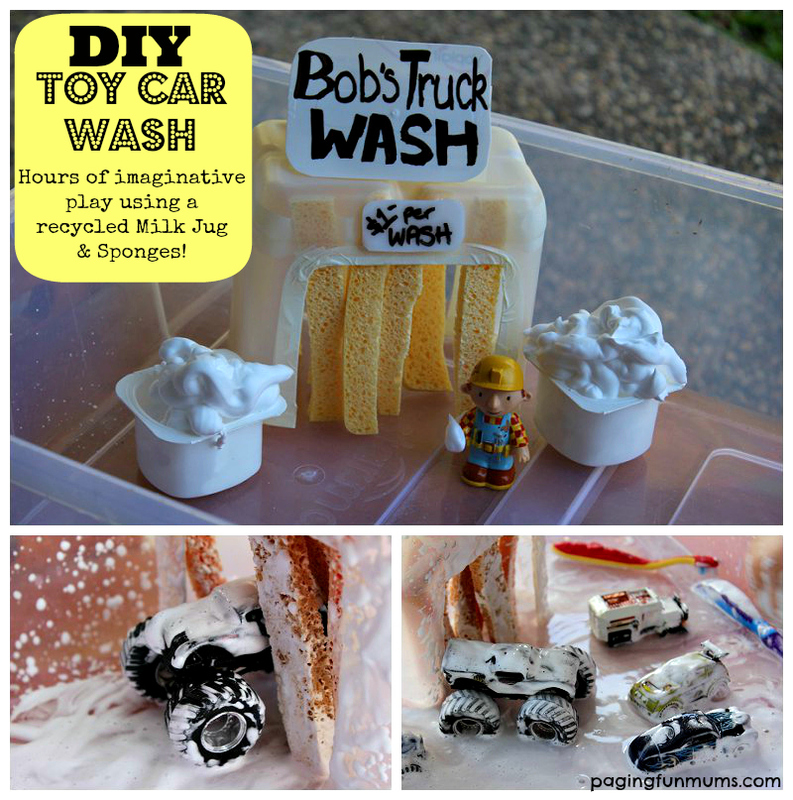 Simply place it, some shaving foam and toy cars into a large plastic tub and watch the imaginative play happen! 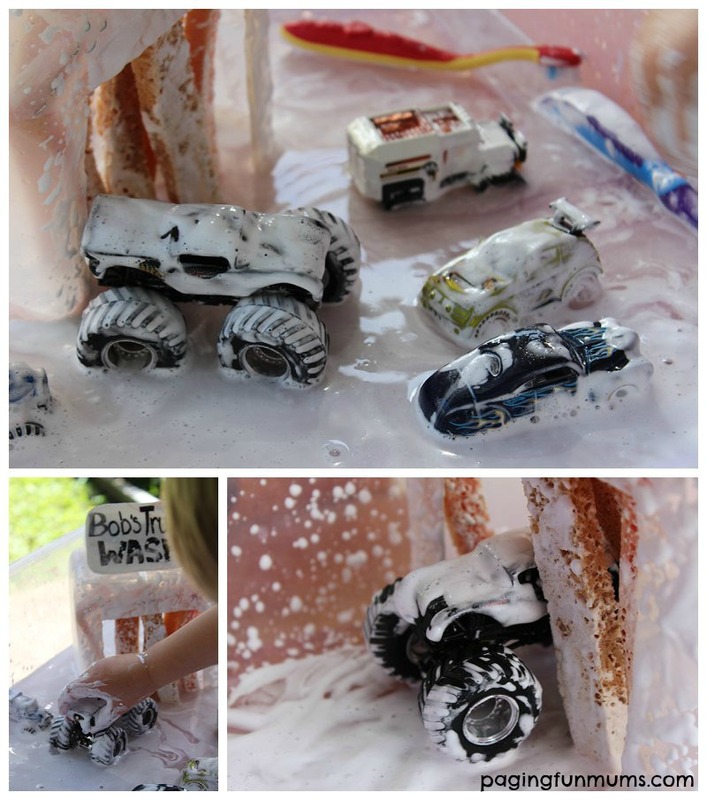 My son loved pushing the toy cars through the wash and brushing them with the toothbrush – it’s a great way to clean their toys after some messy play like this Paint Race Track. We hope you enjoy this simple imaginative play idea, you might also enjoy some of these play activities – Water beads, Frozen Toy Rescue, DIY Toy Boat, Floating number Game. « Make your own Hacky Sacks! That is a cleaver idea for the preschooler, especially they love to play with water and it is Sumer time.